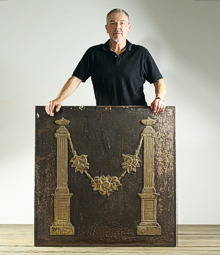 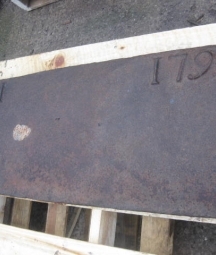 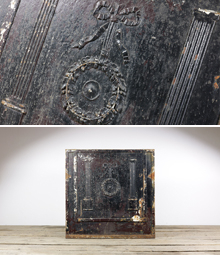 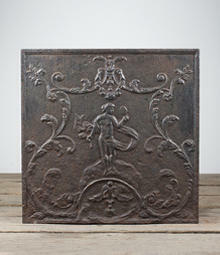 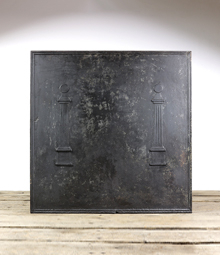 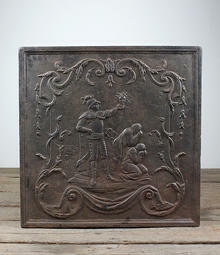 Salvaged fire backs for inglenook fireplaces and open fires- English Salvage. 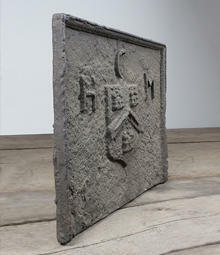 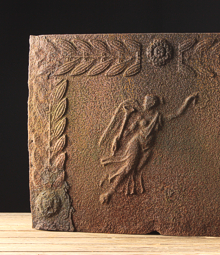 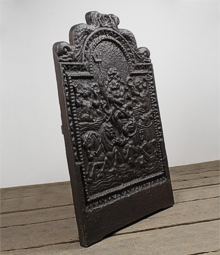 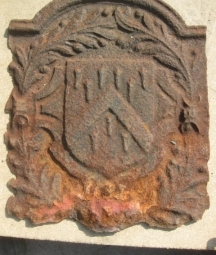 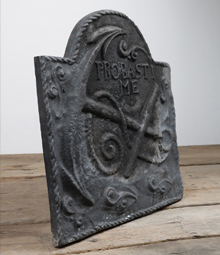 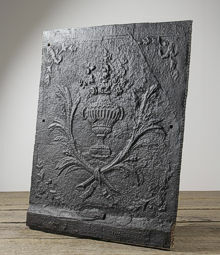 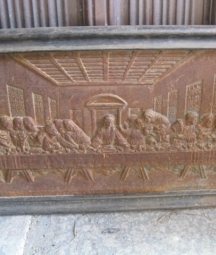 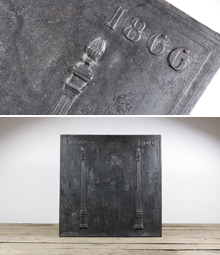 Cast iron fire backs have been around since the 15th century. 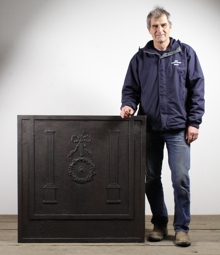 As well as protecting walls from sparks, they also served as a radiator by storing heat and projecting it back into the room. 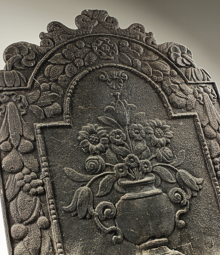 Early examples displayed quite simple designs, as time progressed they became more elaborate and detailed. 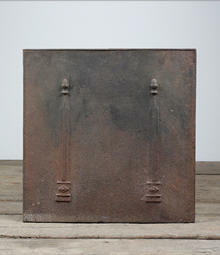 Nowadays they are often used as splashbacks above kitchen stoves or as standalone decorative pieces.